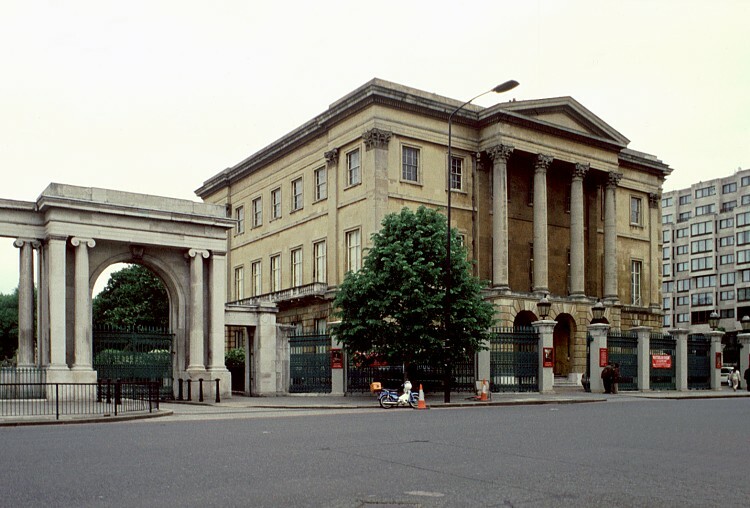 Originally built for Baron Apsley, Apsley House was later enlarged for the Duke of Wellington. 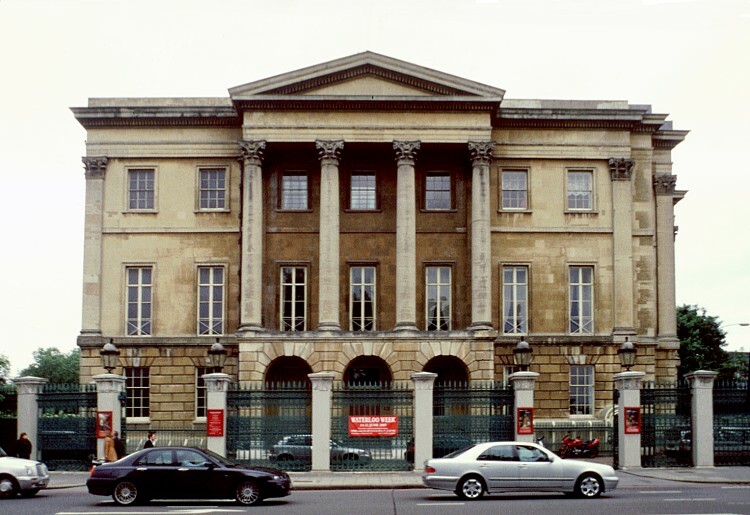 The new architect Philip Wyatt expanded Apsley House by two bays. At the same time the red brick was faced with stone (the more fashionable Bath stone) and the Corinthian portico was added. Inside he built the Waterloo Gallery for the Duke's paintings although the original Adams contributions are still evident in other parts of the interior. Its address is 'Number One London' because it was the first house after the toll-gate into London from the country. Part of the triple arched gateway at Hyde Park Corner (by Decimus Burton) is visible to the left in the left-hand image.